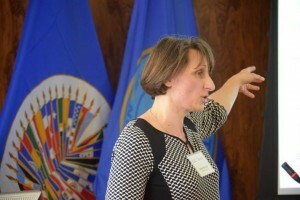 On 15 March 2016, Dr Iveta Simera, Deputy Director of the UK EQUATOR Centre gave the presentation: Research papers that make a difference: how to increase research value, reputation, and impact at the 4th University Internationalizaton Seminar held in Washington DC organised by the Department of Human Development, Education and Employment of the Organisation of American States (OAS), the Coimbra Group of Brazilian Universities (GCUP) and our valued collaborator from the PAHO/WHO, Dr Luis Gabriel Cuervo. 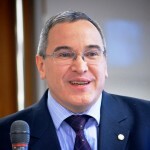 Since the meeting, EQUATOR and PAHO have developed a joint action plan for universities to help fulfil their obligations to their scholars and to society, to enhance their reputation as supporters of high standards in health research reporting, and increase the impact of research carried out by their scientists. This builds on our established close collaboration with the PAHO/WHO in providing resources in Spanish and Portuguese on the EQUATOR website to promote responsible reporting of research for health.